We’re in a new heyday of vinyl records. And, if you’re lucky to live, work, or play in Midtown, like I am, you have the chance to make pretty much every day your personal Record Store Day. Music fans are returning to vinyl and resurrecting a format that just a few years back seemed destined for thrift store bins (more on those later). 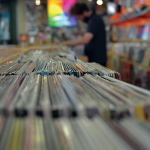 Nielsen reports that vinyl record sales constitute 6% of all album sales so far in 2015. And 2014 sales were 51% higher than 2013, which had vinyl records at just under 3% of physical album sales. Audiophiles and music fans alike have a reason to be happy—vinyl records are back in mainstream fashion and they’re becoming more popular and easy to get all the time. The resurgence in vinyl sales is more than just a hipster trend or a reaction to the digital world. Engaging with music on vinyl offers the listener benefits beyond what iTunes and Spotify can provide—a brighter, more resonant experience. In order to fit thousands of songs onto an iPod or stream hits continuously online, digital music must be filtered, compressed, and flattened, and the files need to be made a small as possible. A lot of sound is lost in this process. While the technology is improving, what you hear on most digital files or through your earbuds is not everything that the artist wanted you to hear. 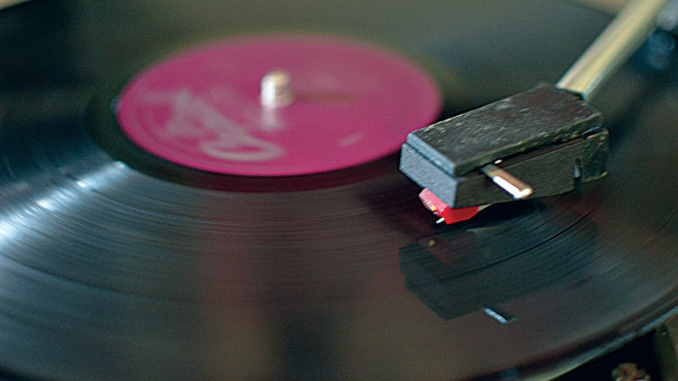 Vinyl records also offer the listener a tactile experience that doesn’t exist with digital music. The full-scale cover art and the physical act of carefully placing a record on a turntable and setting the needle down are the polar opposite of hitting play on Pandora. In the age of user experience, vinyl albums offer the listener a true multi-sensory immersion. Today’s vinyl releases are thoughtfully mastered and pressed on higher-quality, heavier materials, too. Gone are the days of tinny-sounding, limp, and floppy records—that is, unless you want to subscribe to Indy-based indie label Joyful Noise’s Flexi Disc service. Compared to vinyl records, listening to today’s digital music files is like the difference between eating a Swanson’s TV Dinner and enjoying an evening at Recess. Both will fill you up if you’re hungry, but only one is a complete experience. You can forsake that experience for convenience, but you’ll feel the difference. I hopped on my bike on a sunny afternoon with a goal to buy an album at every record store in the Midtown district and to capture what makes the Midtown music-buying scene so special. I challenged myself to buy one LP I wanted, one for somebody else, and a wild card pick, where I select an album that I had never heard of or wasn’t on either my mental wish list or the list I keep on my phone. LUNA Music boasts a huge collection of new releases on vinyl and CD, a curated collector’s section of unique and hard-to-find used albums, and a whole lot of used CDs and records. They sell new and refurbished turntables, have a small section of music-focused books, cards, and ephemera, and offer loyal customers some fashion with their finds—Nat Russell–designed branded apparel. 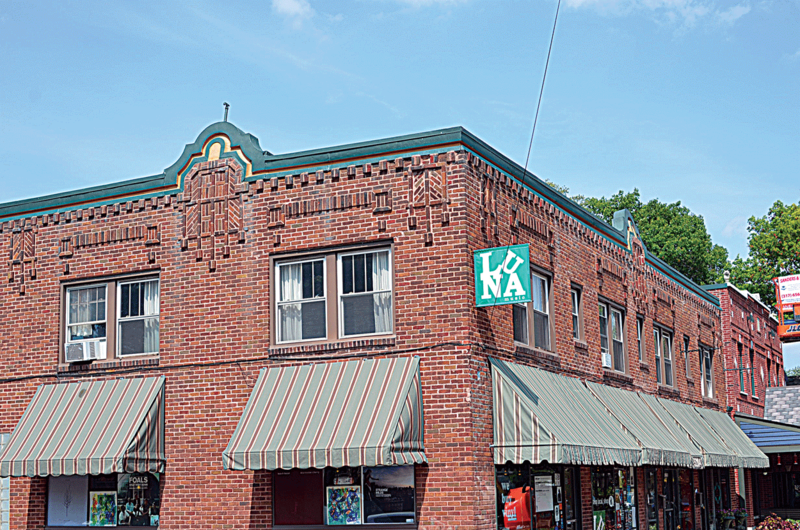 LUNA’s owner, Todd Robinson, moved to Indianapolis from Dayton, Ohio, in 1995 to open Luna Music in the Greenbriar neighborhood. After filling his store with records and CDs, he started programming the space with live in-store performances by some of his favorite musicians, created his own in-house record label, and began connecting people to his favorite music. In 2012 he opened the 54th and College location, and it’s become a cornerstone in a lively revamped SoBro commercial node. The store also regularly hosts intimate in-store performances, positioning bands in the shop’s storefront window and squeezing fans together into the tiny spaces between the rows of records. 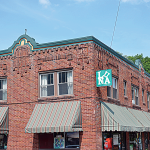 Low, Mark Kozelek, Ben Watt, and many local bands, including the now-famous Lily and Madeleine, have played to packed-in crowds in the cozy shop. The LUNA Music record label puts out new releases and reissues out-of-print records. This year, Luna reissued “Good Morning Blues” by southern California’s Assateague, which I recommend. In honor of LUNA’s 20th year in business, the label released a box set of five lathe-cut 7-inch records, each featuring songs from some of the stores best in-store concerts. After browsing the staff recommendations and newest stock of used albums, I picked a reissued and remastered copy of “Man Machine” by Germany’s electronic music pioneers Kraftwerk. It’s the perfect pick for a store that’s always understood the intersection of dance, rock, and weird music. I had wanted a nice copy for a while, and my 3-year-old son has been obsessed with “We Are the Robots,” so maybe this is a gift for both of us? In 2001, Annie Skinner (then Johnson) came to Indy from Salt Lake City to help a friend open Indy CD & Vinyl. Her plan was to finish setting up the store and then return home. 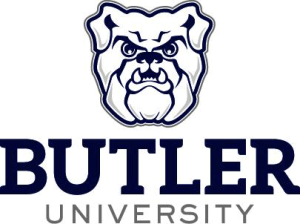 She soon encountered a problem with her plan: She fell in love with Indy, and particularly the Broad Ripple neighborhood, so she stayed and worked behind the counter and helped manage the store. To further complicate her initial plans, she met her husband, Andy, and the two started A-Squared Industries, a local concert and party promotion business. In early 2014, just after the birth of their first child, Annie and Andy had a chance to buy the store, and they jumped at the chance. For the last two years, they’ve been breathing new life into the store. 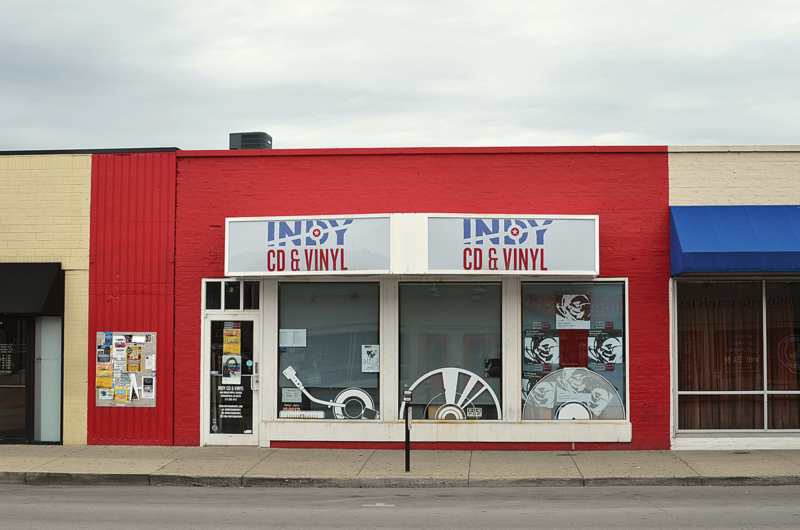 They rebranded the business, remodeled the store and started re-connecting local vinyl fans to the main strip in Broad Ripple. The Skinners also host in-store performances by local and nationally touring bands, thanks to the connections they’ve forged as promoters. Time for Three, Lily and Madeleine, Reverend Payton’s Big Damn Band, and scores of national acts have performed in the store. 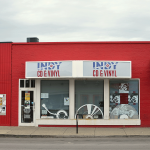 A partnership with Indiana-music nonprofit Musical Family Tree brings monthly in-store performances to the shop as well as a wall of local music recommendations. Along with partner Eric Davis, the Skinners have created a store that welcomes anyone, including little music fans. Beyond their kid-ready play area at the back of the shop, a monthly Kids Day uses child-friendly music and DJs to get tots dancing while their parents get a chance to flip through the bins. The Midtown neighborhood has seen its share of record stores come and go. Shops like Missing Link, Rockin’ Billy’s, Howard’s Hard to Find, Rick’s Records, Vibes, Peaches (which became Coconuts), Sound Warehouse, Second Time Around, and Karma had long runs, but most shuttered their windows by the early 2000s. One store outlasted them all, and today serves as a sort of godfather of the local record scene. 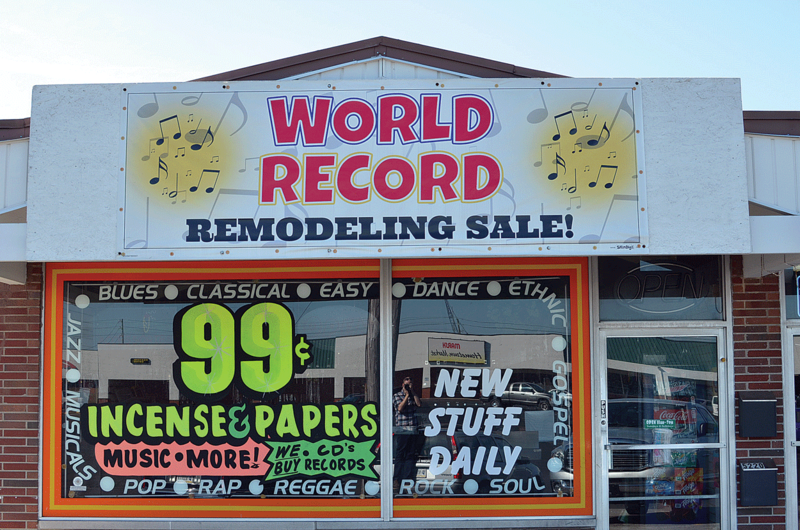 For over 35 years, Keith Reinhart has been selling records, CDs, tapes, and DVDs in a small brick strip in the Keystone Plaza Shopping Center. He specializes in rare and hard-to-find titles and his store is always a record-digging adventure, providing an old-school record collector’s experience. That’s what makes World Records so great. It’s a holdover in the best sort of way. Midtown is more than just a great place to buy records because of the knowledgeable counter crews and well-stocked shelves. 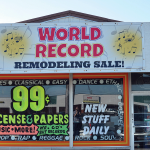 LUNA, Indy CD & Vinyl, and World Records are also thoroughly welcoming spots. Novices and seasoned collectors can find friendly service that’s curious and informed, never snobby or rude. 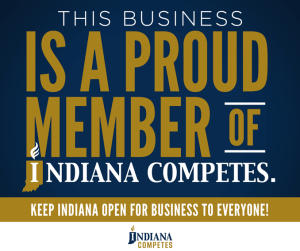 Include them in your shopping sprees on Black Friday (Nov. 27) and Small Business Saturday (Nov. 28). 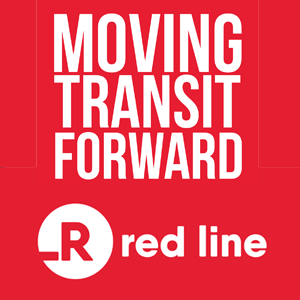 Ben Shine is director of communications at the Indianapolis Art Center, serves on the board of the Tonic Ball, and lives with his wife and son in Midtown’s Historic Watson Park neighborhood. 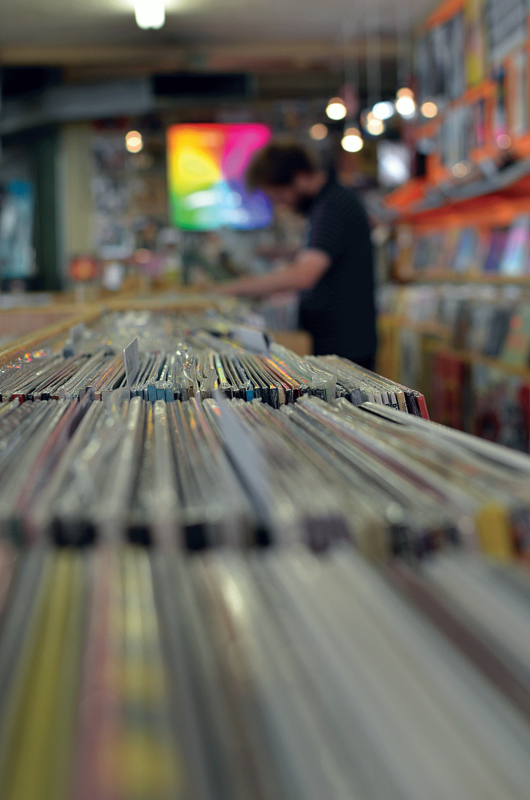 Midtown also offers plenty of off-the-beaten path spots for those who want to let their inner crate digger roam free. These shops typically have at least a small selection of used vinyl. But be warned: Most of these little stores don’t curate their selections like the big guys as far as titles or condition. They are still a ton of fun to pick through for that hidden gem. • Goodwill, 6110 N Keystone Ave.
• Carter’s Garage, 833A Westfield Blvd. • Value World, 2350 E 52nd St.